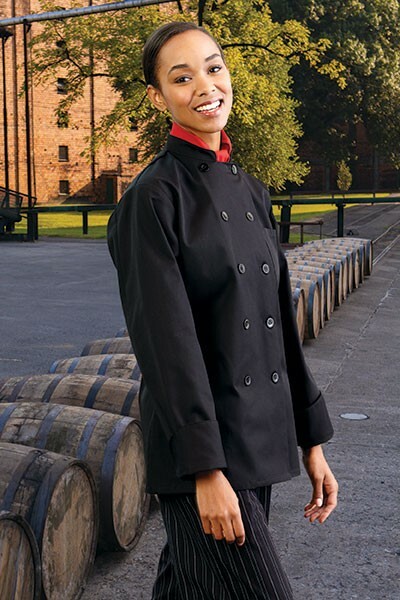 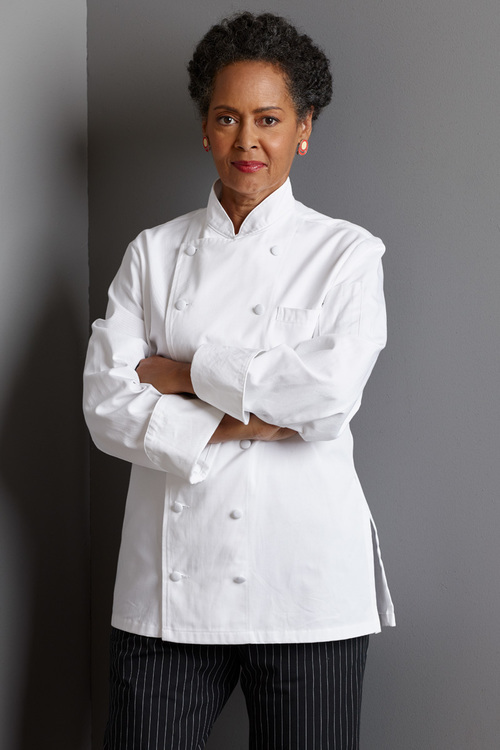 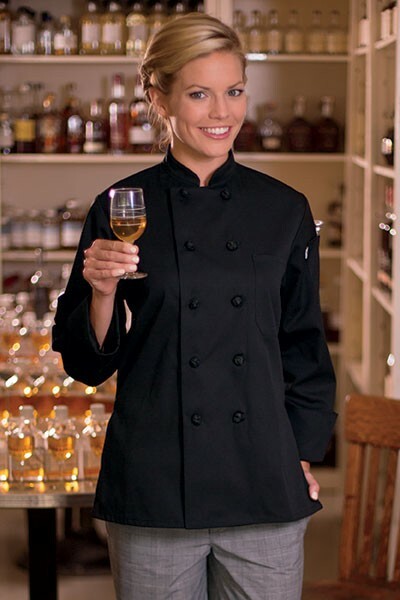 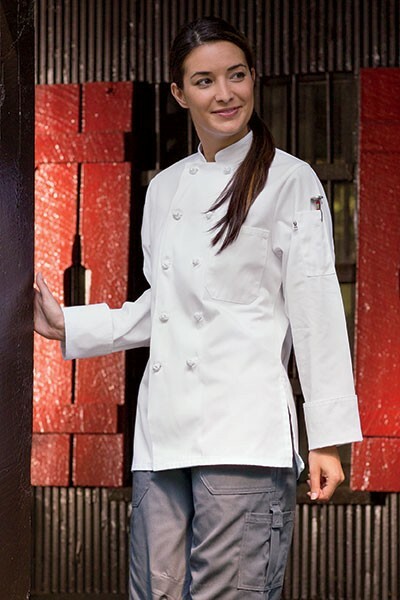 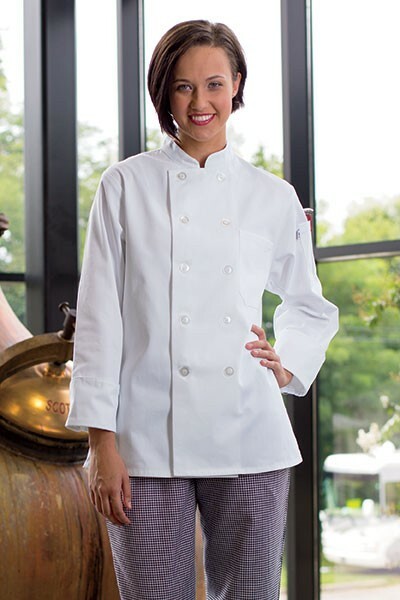 Women's Chef Coats & Pants | Product Catalog | Aprons, ETC. 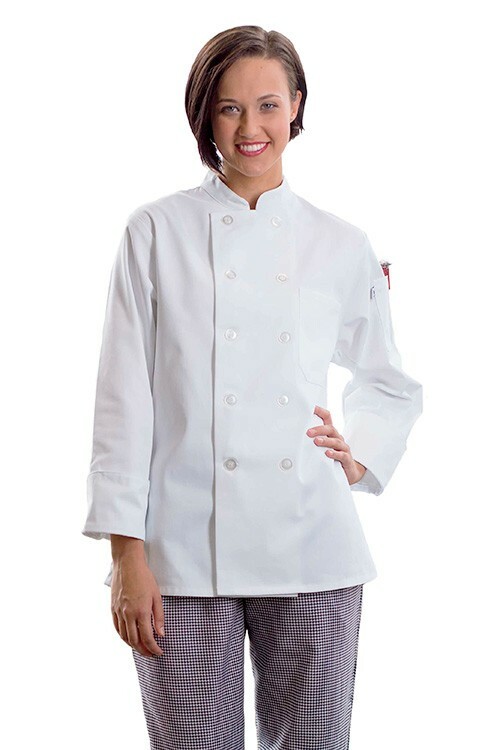 65/35 poly cotton twill - 7.5 oz. 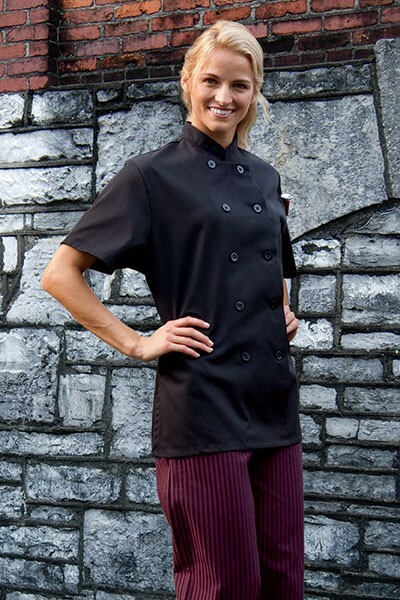 2 section pocket_x000D_ _x000D_ Colors: Black, black & white pinstripe, houndstooth, berry & grey houndstooth. 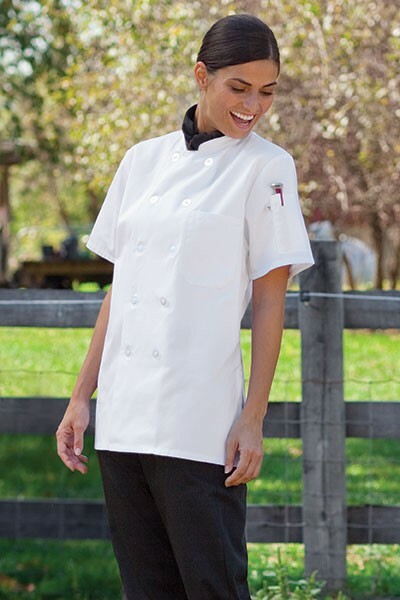 65/35 poly cotton twill - 7.5 oz. 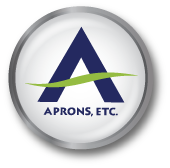 2 section pocket_x000D_ Colors: Black, black & white pinstripe, houndstooth, berry & grey houndstooth.